Insects as an alternative source of food, or more specifically protein, is starting to become a very hot topic. Before I continue, I believe it’s important to note that more than 2 billion people worldwide already include insect in their daily diets. It’s North American and European cultures that haven’t embraced insects as a sustainable, responsible food source. The first international conference on insects for food and feed brought over 450 participants from 45 countries together to discuss about the state of the art in research, business and policy making in this new developing sector. 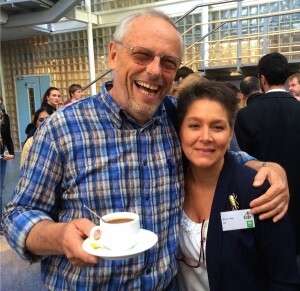 I travelled to the Netherlands to join the conference and meet with peers and academics that I’ve been networking with via social media to discuss the “state of ento”. Discussions took place around what the future of food looks like today and the challenges and opportunities of tomorrow. 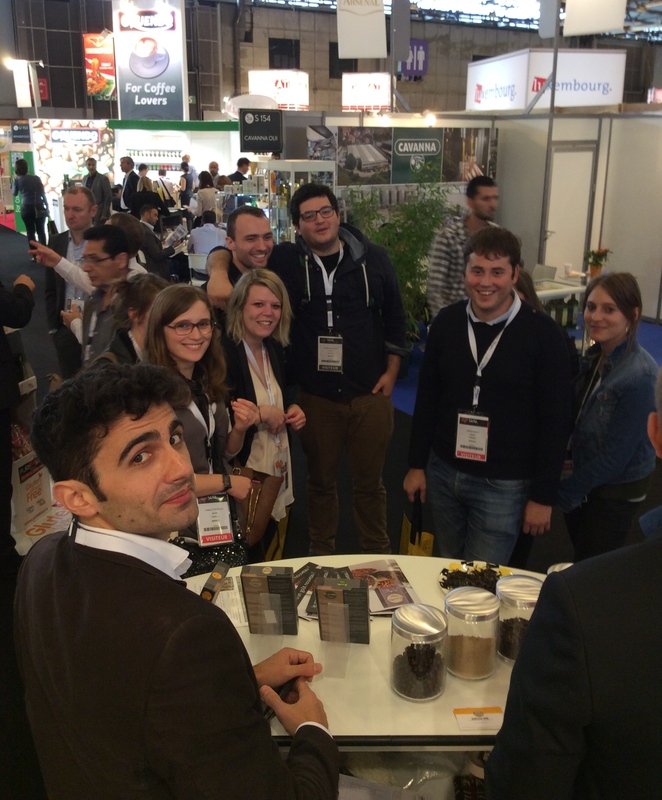 The conference was a milestone in that for the first time, professionals across public and private sectors and academia working in the field of edible insects came together to move the subject of Insects to Feed the World, together. Academia made a big splash with the announcement by Wageningen University that a quarterly scientific journal on the topic of insects for food and feed, the first of it’s kind, is set to hit the shelves of universities in this year. As well there were numerous break-out sessions, laboratory tours and workshops. And while there were no laws created or signed off on, when conferences of this magnitude start to happen there is certainly a need and a market in place. Entomophagy is poised to move from niche to mainstream, and my guess is, within the next five years. Europe seems to be undergoing a big movement when it comes to foods containing insects, with the northern Dutch speaking countries dominating this trend. These products, although not technically allowed by the EU, are being put out there. The result is a serious pressure for countries to open their arms and allow insects as an industry to blossom. In many countries, as well as Switzerland, there are reviews of the law by the EU member countries this year. 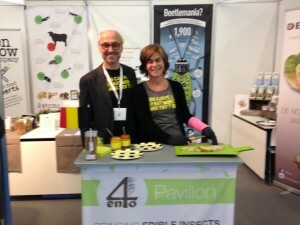 There are quite a few products currently available on the market, as well as interest as we saw at trade fairs in 2014 when traveling with our Edible Insect Pavilion. One of the more surprising products on the market is a series of spreads (tomato, carrot and chocolate) containing mealworm by Anne and Damien from Green Kow that are available on the shelves of Delhaize supermarkets. We showcased Green Kow’s Tomato and Carrot tapa spreads at two shows this year, the Sial Paris and HiEurope, and both were show favorites. In October of 2014, a mealworm burger was also being sold at Jumo stores in the Netherlands. This product in itself was one of the reasons for the review of the laws. I haven’t personally tried it, but I understand it’s gaining traction and the taste is lovely! DeliBugs is also one of Netherlands up-and-coming food startups. They offer EU raised, high quality, tasty, mealworm, cricket and grasshopper products for human consumption that truly surprise and delight the tastebuds. They also create an insect protein alternative for pet food which we expect to be a big market. Here’s a nice video interview with DeliBugs CEO and founder, Ger van der Wal. There are quite a few insect food companies starting up in the UK such as Eat Ento, as well as others selling a whole range of products like Bug Grub and Grub. We worked with the Grub team during 2014 shows and are looking forward to seeing their product in Swiss stores. Their packaging is awesome and so is the taste of their product. Important to note. 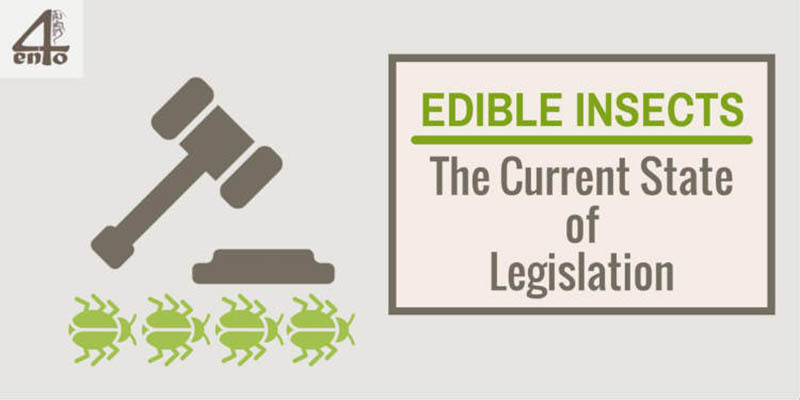 Getting buy-in on governmental level is only the first step in bringing edible insects to the mainstream. We can’t lose sight of the importance that packaging and marketing is going to play on getting consumers on board with this new, protein and food alternative. 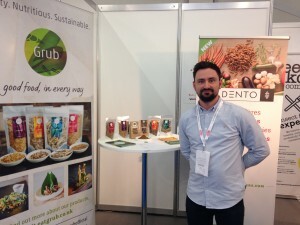 At shows this year we witnessed first hand that packaging and positioning matters just as much — and sometimes even more, to consumers than the healthy, responsible, sustainable “eco-friendly” side of insects. Cricket Happy Hour at Sial! 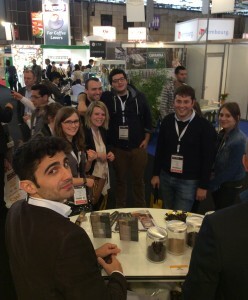 One of our favorite French producers of insect based products are the young and dynamic Insectéo team. They sell “apero” style naturally flavored insects (think cricket instead of mixed nuts at your next party) like curry, BBQ and Thai. Insectéo took part in the 4Ento Pavilion at two shows, and the 4Ento happy hour with their team was the talk of the town during Sial 2014. Their business is thriving, but France, like other EU countries hasn’t officially recognized the trade. Luxembourg on the other hand, has taken a conservative stance on the situation stating that they will not allow edible insects to be sold until the EFSA makes it’s decision in summer this year. We are considering the possibility of introducing some insect species on the food market in Switzerland. They are currently revising the law and using a list based on what Belgium is allowing to drive what should be approved for the Swiss market. This will most likely include: grasshoppers, crickets and mealworm. If all goes well, we could be seeing insects allowed in food products in Switzerland as early as 2016. What about the USA? Do They Really Regulate Insect Consumption? Unclear regulations and legislation on farming and selling insects for human consumption and feed are an obstacle. For example, in the United States, the FDA’s Food Defect Action Levels lists allowable percentages of insect fragments in food, yet insects as food do not seem to fall into any category. So at this stage, the USA via the FDA, is not currently legislating on insects specifically, which is keeping the insect production industry on edge and stopping a lot of investment. Are Insects Considered “Novel Foods” in the EU? The current legislation within the EU for foods like insects falls under the category of “Novel Foods”. Currently, to get a novel food on the market certain criteria need to be met, which can be quite significant for a small producer. Whether these amendments pass through the EU parliament remains to be seen. And in fact, the European Food Safety Authority (EFSA) is due to give it’s opinion on in a review is expected by July 2015. There is another twist to the insects as food story, and that is the common slaughterhouse. Obviously where animals are involved, strict regulation is in place to ensure their suffering is kept to a minimum amongst other things. However, insects do not normally fall within this regulation. What is stated in the regulations is very detailed and covers everything from animal types to food safety and slaughtering methods. But what is not clear is if insects are included. Why? Because the regulation defines animals as “vertebrates”, which insects are not (having an exoskeleton instead). So they should be excluded. However, all of the insect producers we have spoken to are rearing their insects to the highest governmental standards, meaning, the same standards as for meat and poultry. Given that the whole topic is under discussion with the EU right now, who knows what the outcome will be. But we agree, setting the bar high is the best way to show regulators that insect professionals are just that: professional. What Does the Future Hold for Edible Insects? Our team believes that in the next five years we will see insects move from niche to mainstream offerings, with the first products being powders, flours and, or, mealworm based foods as we are seeing now. What are your thoughts? I’ll be speaking at the Food Innovation Summit, Feb 3rd, in Brussels on Disruptive Meal Alternatives. If you’re at the event, I’d love to meet you.